R. Matthew Ward lives in St. Louis. He writes (occasionally) about audio, Apple, and other cool stuff on his personal blog. 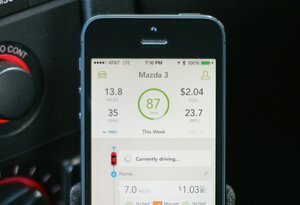 Plug the Automatic Link dongle into your car, fire up the iOS/Android app, and get the goods on how your driving affects your fuel efficiency; how your car's feeling today; and more.